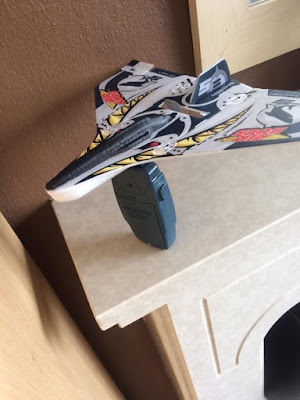 Trials & Tribulations Of A Brummie Mummy: Air Hogs E-Chargers Review. 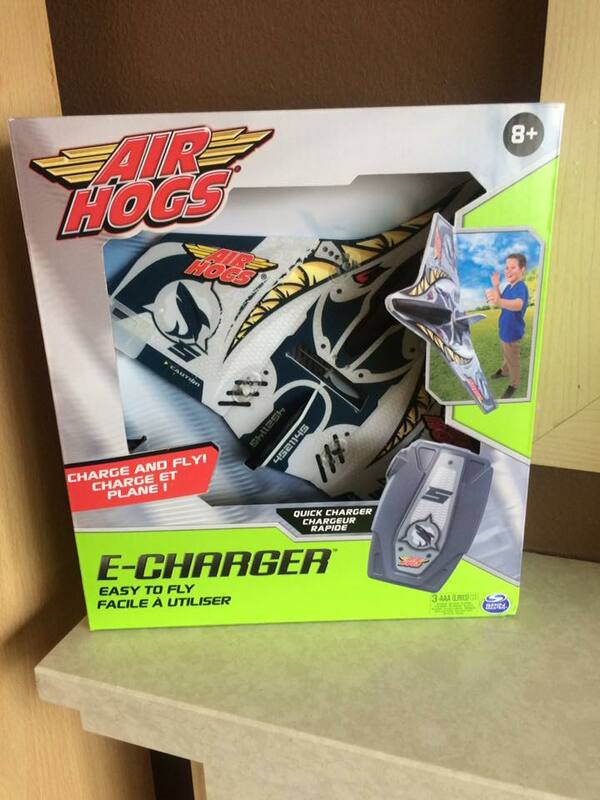 We are very familiar with Air Hogs products so we was excited when we got the delivery this half term. 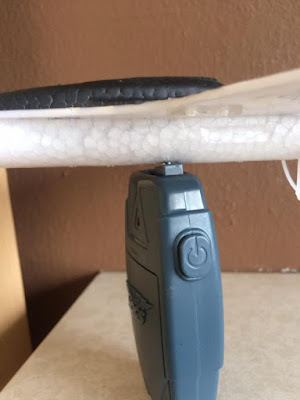 We have had chargeable and remote products before and you normally have to wait forever for them to charge up, you have a little play then they are dead again. They can end up extremely stressful when the kids have waited so long to have a turn. 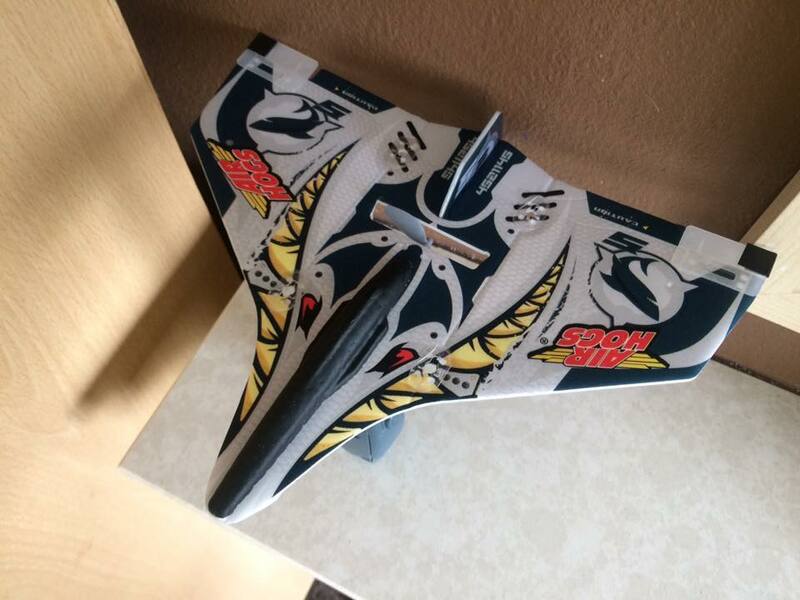 The Air Hogs E-Chargers come in four designs Dragon, Shark, Military & Patriot. The charger needs three 3 AAA batteries (not included). Once the batteries are in you are set to go. You slip the Air Hog on the charger and after 30 seconds it is ready to fly, no waiting for it to charge. No upset when it needs to be charged again. Instant play, every 30 seconds. We received the shark design, the plane has durable materials and an aerodynamic construction. Stands tough crash landings and bumps. Made to be played with outdoors where it flys up to 100 yards. The kids both had fun, taking in turns and playing outside flying the plane.